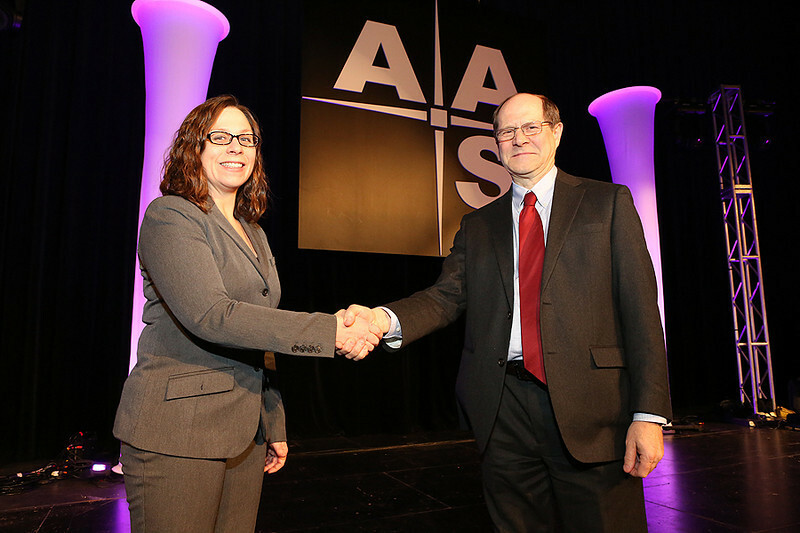 On Tuesday afternoon American Institute of Physics Executive Director Fred Dylla awarded the Dannie Heineman Prize to Rachel Somerville (Rutgers University) for providing fundamental insights into galaxy formation and evolution using modeling, simulations, and observations. Her prize lecture was entitled "The Formation of Galaxies and Supermassive Black Holes: Insights and Puzzles." AAS photo © 2014 Joson Images.